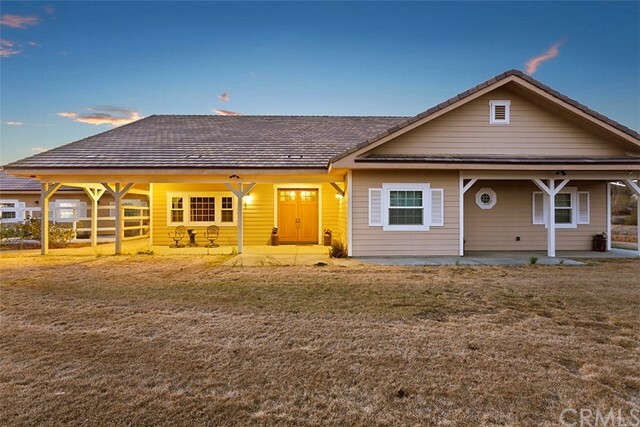 Beautiful custom-built single-story home w/10 acres. 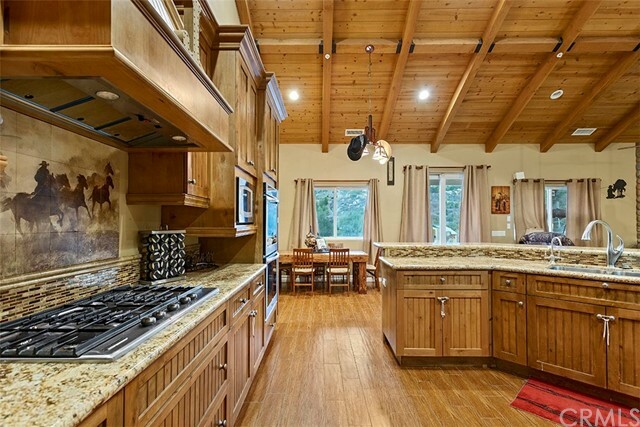 Located in the highly sought after La Cresta community only 8 miles to freeway. Built in 2013 the well-designed layout includes 2,970 sq.ft. 4 bedrooms, 3.5 baths, formal dining area w/open floor plan. The gourmet kitchen opens to the family room w/Alder wood cabinetry, granite counters, ceramic plank flooring, stainless steel appliances, walk-in pantry, double ovens & eat-in nook. 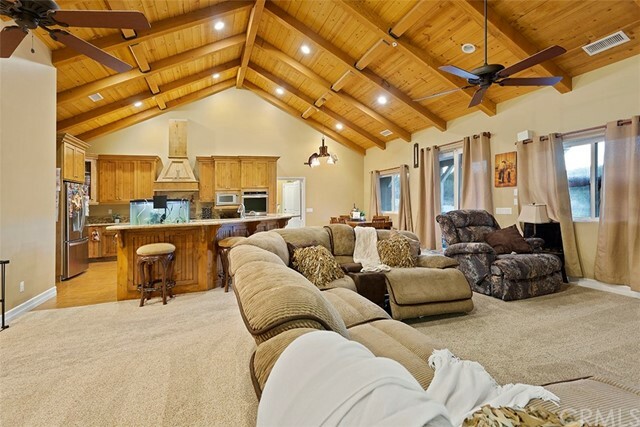 The cozy family room includes beautiful river rock fireplace, vaulted wood ceiling w/open beams. 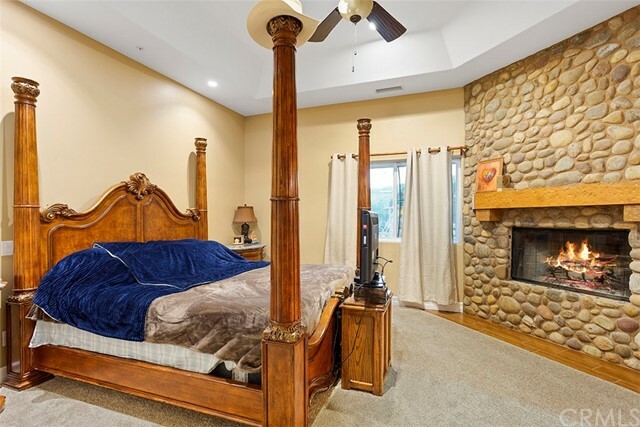 The master bedroom is a private retreat w/river rock fireplace, large walk-in closet & en-suite bath. 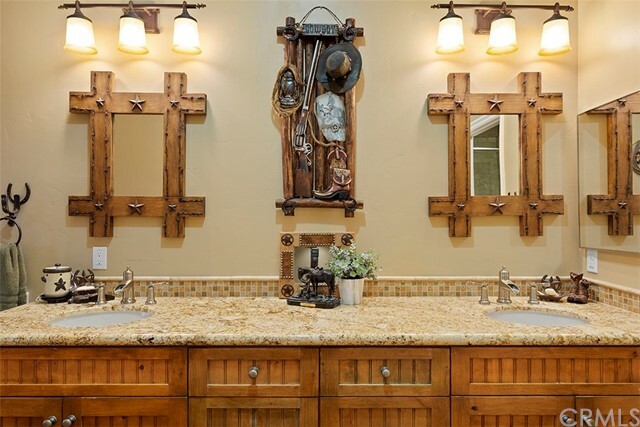 The master bathroom includes granite counters, extra cabinetry, large jetted tub, dual sinks, custom stone shower w/dual shower heads & seating area. 2 bedrooms are joined by a Jack & Jill bathroom w/dual vanity, custom stone walk-in shower w/seat & private bath closet. 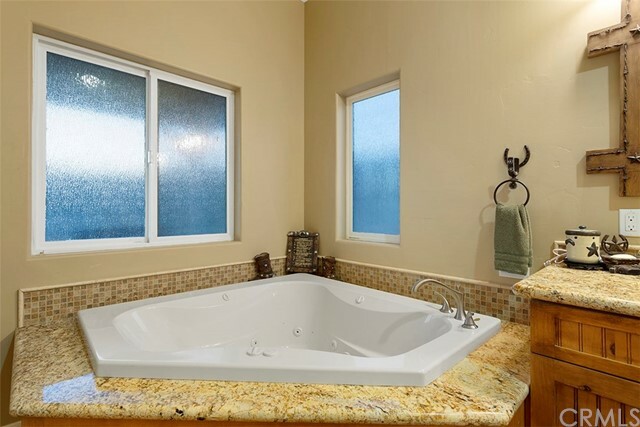 Another full bath includes granite counter & enclosed shower/tub combo w/stone accent. The extended 3 car garage includes pull-down attic ladder, direct access to laundry room, ½ bath & kitchen. The private 10-acre lot includes gated access, RV parking, outdoor built-in BBQ, large fenced area, dog run, graded pad & secluded seasonal stream. The possibilities abound to add horse facilities, pool, RV garage, workshop, agricultural use & more. 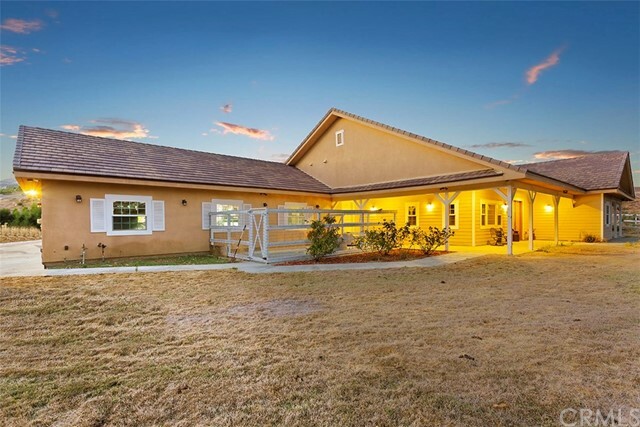 Enjoy wide open spaces yet only minutes to Santa Rosa Plateau, wineries, shopping, golf courses and freeway. Luxurious SOUTH TEMECULA home in the ESTATES at Morgan Hill near WINE COUNTRY. Built in 2012 w/impressive OPEN CONCEPT layout with PRIVACY & VIEWS. This Floor Plan Offers So Much Versatility from Multi-Generational Living or Anyone In-Between. 3,760 sf, 6 Beds (2 downstairs, 1 has en-suite full bath), 4 Baths, Formal Dining, Butler’s Pantry, Loft & Built-in Tech Center, 4 CAR Tandem GARAGE, Outdoor California Room and So Much More! HIGHLY UPGRADED w/NEWER PAINT both Interior & Exterior, Wood Flooring, Custom Tile Planks w/Inlay Design, 2 Ovens-High End Kitchen Aid 5.1 Chef’s Stove & w/Grill & Commercial Style Vent Hood & Built-in Oven, All Stainless Steel Appliances, Granite Counters, Custom Tile Backsplash, Upgraded Raised Panel Cabinetry, Oil Rubbed Bronze Fixtures & Door Hardware, Wrought Iron Staircase Railing, NEWER Plantation Shutters w/Hidden- Tilt Rod, Central Vac System, Newer Front & Backyard Landscaping, Jetted Tub in Master, Dual Shower Heads & Seat in OVERSIZED Master Shower, Built-in Entertainment Center, Upgraded Baseboards, Dual A/C units, 2 Whole House Fans & Tankless Water Heater. The Pool Sized 8,276 sf Lot is a Private Oasis w/California Room, Fireplace & Wired for TV & PRIVACY w/Both Side Neighbors Single Levels and the Elevated Lot offering Unobstructed Views. The Morgan Hill Community Offers, Pool, Spa, Banquet Facilities, Gym, Playground, Beautiful Parks, Tennis & More. Located in Great Oak School District and Near Shopping, Wineries & Freeway. Beautiful UPGRADED Tuscany Style Home Built in 2014 w/LOW TAXES & HOA and VIEW LOT. The Impressive Layout Includes 3,213 sf, 4 Beds, 3 Baths, Office, Formal Dining, Loft, 3 Car Tandem Garage w/Open Concept Layout. Some Interior Highlights; OVERSIZED Walk-In Pantry & Walk-in Linen Closet, Built-In Trash Compartment, Large Laundry Room w/Sink, Whole House Fan & Inviting Front Porch. Some Extensive Upgrades Include; High-End Patterned Carpet, Custom Ceramic Tile Flooring Set Diagonally, 2 Custom Built-In Cabinets, Surround System, Wrought Iron Staircase Railing, Plantation Shutters, 2 Nest Thermostats, 6 Decorative High-End Ceiling Fans, Ring Doorbell, Security System, Stainless Steel Appliances, Double Ovens, Oil Rubbed Bronze Fixtures, Granite Kitchen Counters, Custom Marble Back Splash & Upgraded Raised Panel Maple Cabinetry. The Pool-Sized Lot has Been Professionally Designed w/Colored Stamped Concrete, Alumawood Patio Cover, and Wired for Future Spa. The Endless Privacy is a Special Feature w/No Rear Neighbors & VIEWS. The Paseo Community Offers Miles of Trails, Acres of Amenities w/Parks, Pools, Sport Courts, Tennis, Rec Center & Gym. Nestled Near Temecula’s Scenic Wine Country, Excellent Shopping, Entertainment, Acclaimed Golf Courses, Old Town and Distinguished Schools. 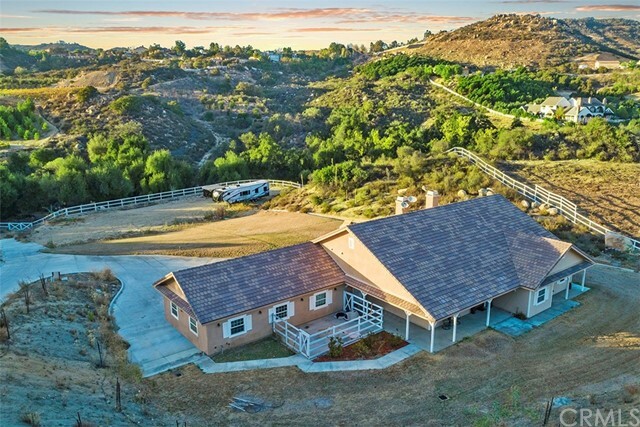 Beautiful SINGLE STORY home w/VIEWS in South Temecula. 2,977 sq.ft., 4 beds PLUS office, 2 baths, formal living room, formal dining room, desk nook, family room, kitchen dining area and walk-in pantry. The well-designed floor plan includes high ceilings, open concept layout, arched doorways, private master suite and much more. The master bedroom is located on opposite side of bedrooms and bathrooms to increase privacy. Upgrades include, stainless steel appliances, beautiful ceramic tile flooring throughout with beautiful medallion at entry, plantation shutters and neutral colors throughout. Kitchen has beautiful Corian counters and oversized island, custom tiled backsplash, and walk in pantry. 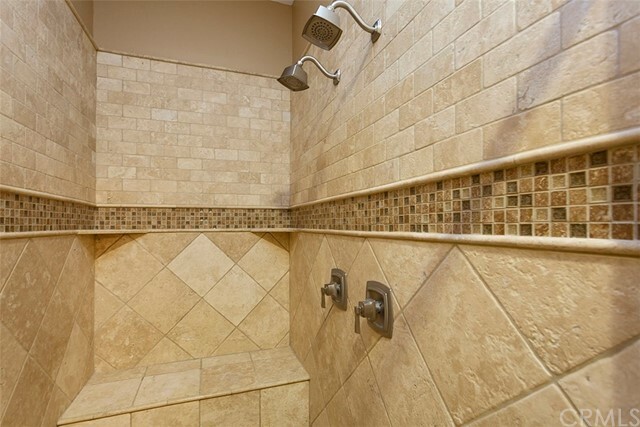 Master bath is complete with tile counters, soaking tub, walk-in shower, walk-in closet and bath closet. The private back yard includes stamped concrete, Aluma-wood patio cover and spa. The home is perfectly situated on a double cul-de-sac street for added privacy, yet close to everything. Built in 2005, LOW HOA and lower taxes. 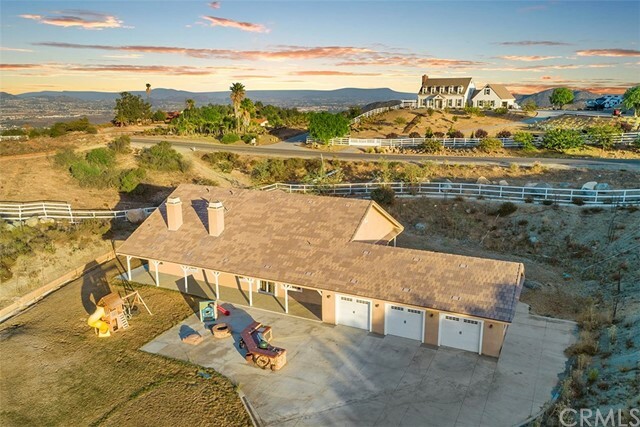 Don’t miss this LARGE single story South Temecula home that is close to Wine Country, schools, shopping and freeway. Beautiful POOL & SPA home in Paseo del Sol! 4 Bedroom, 2.5 Bath, 3 CAR tandem garage located on a private lot. Built in 2002 with LOW TAXES & HOA the prime location is within walking distance to schools, Club House and large park. The light and bright layout includes approx. 2,382 sq.ft. 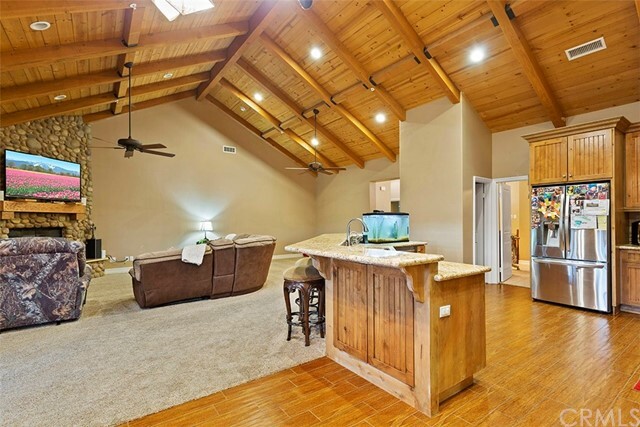 of living space with gorgeous hand carved wood flooring, vaulted ceilings and French doors. The first floor includes a custom glass front entry door, 2 story vaulted ceilings, formal living/dining area family room with custom lighted fireplace, powder bath, large laundry room and wonderful Kitchen that overlooks the pool with tons of cabinetry, breakfast nook and door to backyard. Upstairs is the large Master suite is complete with private bath, dual sinks, walk-in shower, soaking tub and walk-in closet. 2 bedrooms have their own walk-in closets and share a Jack-and-Jill bathroom with dual sinks and shower/tub combo. There is plenty of storage and a mini loft area perfect for a desk, bookcase or sitting area. The serene back yard is a private tropical oasis! Enjoy the privacy of no rear neighbors, custom pool and spa with waterfall feature, stamped concrete, artificial grass area, drinking fountain, patio cover with an amazing passion fruit vine. The Paseo del Sol community offers miles of walking trails, parks, paseos, pools, rec center, tot lots, tennis, basketball and is centrally located in the heart of Temecula and minutes to freeway, Old Town, fine dining, shops, Wineries and much more. * POOL * VIEWS * SOLAR * CORNER LOT * CUL-DE-SAC * ARTIFICIAL GRASS * Entering the front door a feeling of space & light pervades the home. Formal dining & living rooms are a feature of this home. Desirable open floor plan includes 5 bedrooms one bedroom & bathroom conveniently located downstairs. This home also features two sets of stairs that lead to the upstairs. Views are enjoyed from both inside & outside the home. The home opens into a GENEROUS size great room that accommodates the kitchen, casual dining area & family room featuring a fireplace & ceiling fan. The kitchen is spacious featuring corian counters, stainless steel appliances, built-in microwave, walk in pantry & generous size kitchen island for convenient bar stool seating. Upstairs you will find 3 spacious bedrooms. Master suite features a large private patio deck to enjoy the views offers peace & privacy. 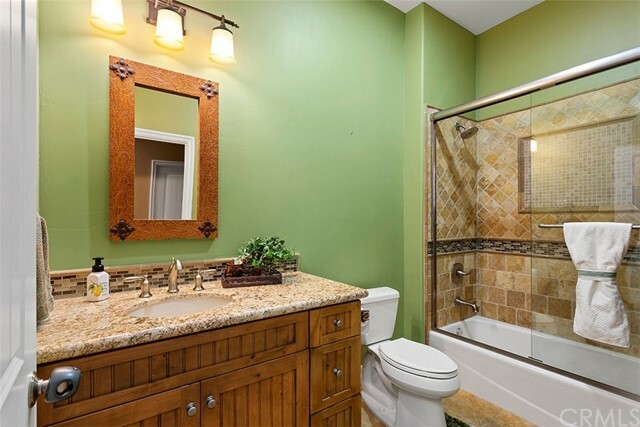 Master bathroom includes dual sinks, central tub & shower is private. Huge walk-in closet with built in cabinetry is conveniently located off the master bath. Upstairs 4 spacious bedrooms each feature walk in closets & ceiling fans. Master suite features a large private patio deck to enjoy the views. 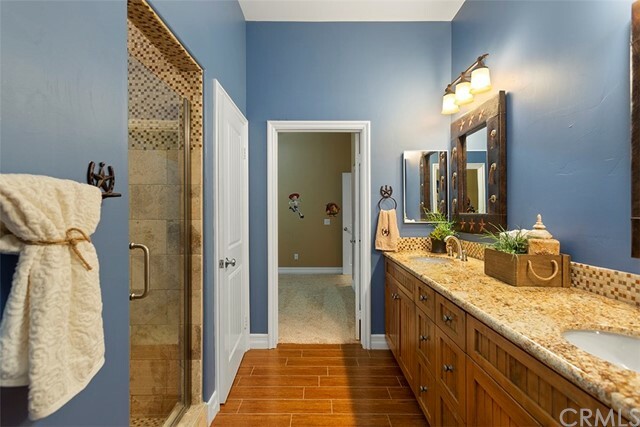 Master bathroom includes dual sinks, upgraded flooring separate tub and shower. Large walk-in closet with built in cabinet conveniently located off the master bath. The backyard is an intrinsic part of the overall design of this home. Enjoy the views relaxing by the pool! Features 2 car & single car garage! DRAMATIC PRICE REDUCTION! PRICED TO SELL! "Enjoy the panoramic view from this 4.33 acre lot, located adjacent to "The Groves", a spectacular community in the Temecula Wine Country. The lot has a very large graded pad, with excellent usability. There are a total of 4 parcels available, from 2.28 to 4.33 acres, so you can pick the lot that best suits your home plans and needs. All utilities are in the street adjacent to the parcel. Located just south of Pauba Road on Linda Rosea - you cannot find a better parcel to build your custom home! You won't believe the gorgeous views of the Valle de los Caballos and Mount Palomar!!! Beautiful 4 Bedroom Paloma del Sol home located on quiet street ½ block to community pool, spa, basketball court, playground and walking trails with LOW TAXES & HOA. Over 2,000 sq.ft. of living space with TONS of UPGRADES that include, GRANITE Kitchen counters, HIGH END TURF & putting green, continuous SOLID flooring downstairs, PLANTATION SHUTTERS, NEW 50-gallon water heater, CEILING FANS throughout, and SOLAR SCREENS on upstairs front facing windows. The wonderful layout includes upgraded Kitchen w/granite counters that opens to living room, large downstairs bedroom, downstairs bath w/shower, LARGE LOFT, expansive Master Bedroom with en-suite bathroom and walk-in closet. The PRIVATE back yard backs up to a single story for extra privacy and was remodeled in 2016 with HIGH-END TURF & PUTTING GREEN. The Paloma del Sol community is close to schools and offers over 100 acres of parks, paseos, 5 pools, spa, tot lots, tennis, basketball, disc golf and was once dubbed “the Jewel of the Temecula Valley”. 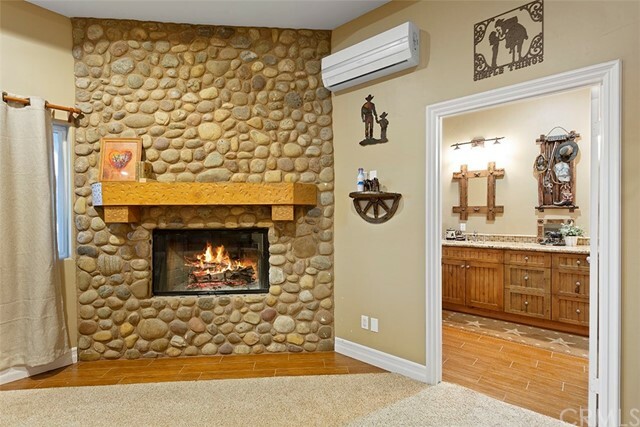 This fantastic home is centrally located in the heart of Temecula and minutes to freeway, Old Town, fine dining, shops, Wineries and so much more. Beautiful and RARE 2,981 sq.ft. 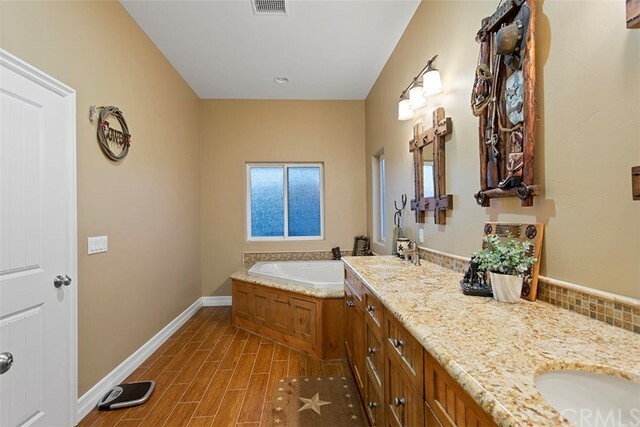 POOL/SPA home in desirable Mapleton community of Murrieta with NO HOA. Perfectly located on a private cul-de-sac street with extra parking and 4 car tandem garage! Entertainers delight with large custom pool/spa with solar heating, Alumawood patio cover, beautiful hardscape, and custom planter to grow your own garden. Highly sought after bright and open floor plan. Downstairs includes a tiled entry way, private bedroom and ¾ bath, formal living/dining room, family room off kitchen with 2 media niche areas & fireplace. 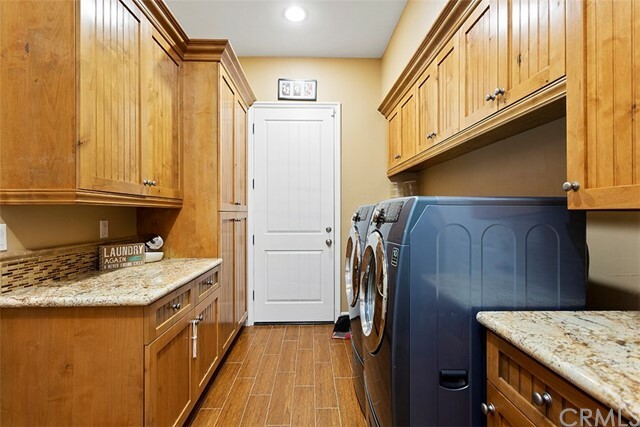 Large laundry room with sink, beautiful gourmet kitchen with granite counters, oversized island, double ovens and tons of cabinetry for storage. Upstairs includes a large Master suite with walk-in closet, bath w/dual vanities, large soaking tub, shower and bath closet. Also included upstairs are 2 nice size bedrooms, cabinets for storage, Jack and Jill bathroom and large bonus room. This home is minutes to freeway, schools, shopping, hospitals and a short drive to Wine Country, Old Town Temecula, Pechanga and the new Menifee shopping center. Perfection! If you are looking for the perfect parcel in the Temecula Wine Country, with incredible views of vineyards - this is the parcel you have been waiting for! Located at the end of a cul-de-sac, there is a gentle knoll providing the ideal site for your home! 4.86 Acres rising gently from the street. Low taxes, no Mello-Roos, no HOA! Located just minutes from town, with all of the ambiance the Temecula Wine Country has to offer! Plant your vineyard, build your home - and you won't want to leave! **Open House! Saturday 10/6* Back on the Market! Great Paloma Del Sol home ideally located within walking distance to elementary, middle and High schools. Fantastic curb appeal with beautiful mature trees and landscape. Interior features neutral colors, vaulted ceilings, ceiling fans, kitchen with white cabinets and breakfast bar, tile in the kitchen and breakfast area, spacious master suite with ceiling fan plus master bath with dual sinks. Guest rooms are spacious and the upstairs guest bath has a tub shower combination. Great rear yard has very pretty landscaping and backs to open space and has a covered gazebo perfect for relaxing and enjoying summer evenings. This home has been well maintained and looks great. DRAMATIC PRICE REDUCTION! PRICED TO SELL! "Enjoy the panoramic view from this 2.3 acre lot, located adjacent to "The Groves", a spectacular community in the Temecula Wine Country. The lot has a very large graded pad, with excellent usability. There are a total of 4 parcels available, from 2.28 to 4.33 acres, so you can pick the lot that best suits your home plans and needs. All utilities are in the street adjacent to the parcel. Located just south of Pauba Road on Linda Rosea - you cannot find a better parcel to build your custom home! You won't believe the gorgeous views of the Valle de los Caballos and Mount Palomar!!! Absolutely gorgeous parcel in De Luz! 6 gentle acres with knoll!! If you have been waiting for the perfect parcel on which to build your dream home - this is it! The gentle access up from the street leads to a large knoll - providing a beautiful view from the homesite. There is a 1 1/2 in water meter already installed - which saves thousands of dollars! Would be beautiful for a vineyard or grove! The parcel is just minutes from the freeway - just off of Rancho California Road and Avenida del Oro. Seller may consider carrying financing. Previous owner had graded the pad, and constructed a slab foundation - which may benefit the new owner. Call for additional information. 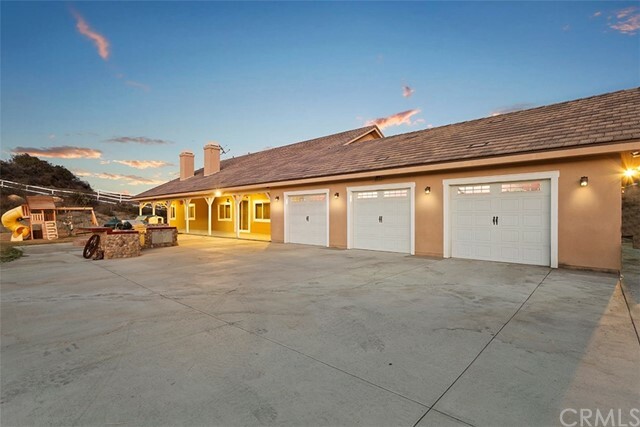 Beautiful single story home with spectacular views of the Murrieta Valley! Upgraded with granite counters, custom backsplash, beautiful travertine flooring and custom paint. The well designed layout includes a spacious master suite with en-suite bath and plenty of natural lighting. The beautiful kitchen is complete with dark rich cabinetry and plenty of storage. The large living room has cozy fireplace and dining area. Privacy abounds with a beautiful wrought iron gate at the entryway and the elevated lot gives you incredible views. The rear yard is fully hardscaped with concrete patio, 2 patio covers, planter boxes, gated side yard/dog run and small grass area perfect for relaxing and enjoying the sunsets. Low taxes and no HOA. Largest Floorplan in the highly desirable Ridgegate Community! This spacious Townhome is located on a quiet cul de sac featuring 1,922 square feet of living space with 2 large bedrooms, 2 1/2 baths and a large upstairs loft! Best location in community backing to the SCGA Golf Course providing privacy and beautiful views! This Turnkey Home features a Beautiful Newly Renovated Kitchen with Granite Counters, Renovated Bathrooms, Upgraded Interior Doors, Wood Laminate Flooring and All New Windows! The spacious Living Room features a beautiful fireplace and high windows providing lots of natural lighting and views! The Master Bedroom features it's own private balcony with breathtaking views of the mature trees and beautiful Golf Course perfect for your morning cup of coffee or a relaxing glass of wine after work! You will love this peaceful community with the mature trees and beautiful Community Pool Area, perfect for an afternoon swim or summer entertaining, all this plus your own Private Garage! Centrally located close to shopping, restaurants, the 215 & 15 Freeways and Temecula's Beautiful Wine Country! Hurry, this one won't last long! DRAMATIC PRICE REDUCTION! PRICED TO SELL! "Enjoy the panoramic view from this 2.28 acre lot, located adjacent to "The Groves", a spectacular community in the Temecula Wine Country. The lot has a very large graded pad, with excellent usability. There are a total of 4 parcels available, from 2.28 to 4.33 acres, so you can pick the lot that best suits your home plans and needs. All utilities are in the street adjacent to the parcel. Located just south of Pauba Road on Linda Rosea - you cannot find a better parcel to build your custom home! You won't believe the gorgeous views of the Valle de los Caballos and Mount Palomar!!! 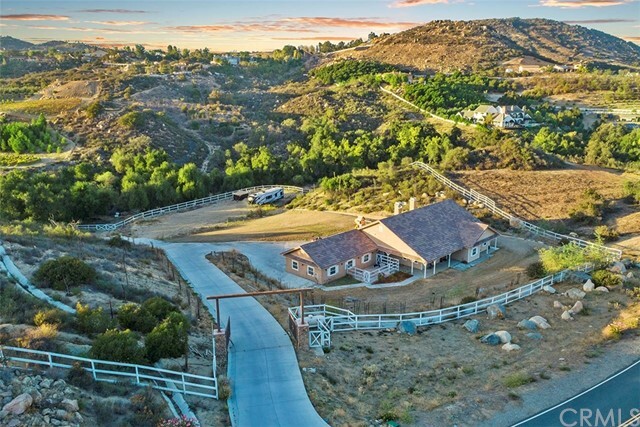 This lot in the "Country Roads Estates" community is one of the best available in Temecula! Country Roads Estates consists of lots that are a minimum of 5 acres - with beautiful topography including rolling hills and gorgeous views and surrounded by elegant custom homes. It is just a few minutes east of Butterfield Stage Road - so it is as close to town as you can be - and still have the privacy and space that 5 acres provides! This beautiful lot includes a gentle view knoll for your homesite, and all utilities are to the property - perfect for your dream home - or to hold for investment! This is a rare find in the spectacular Temecula Wine Country! Four Adjacent parcels on Glenoaks road at Calle Venture - Just west of De Portola Road. 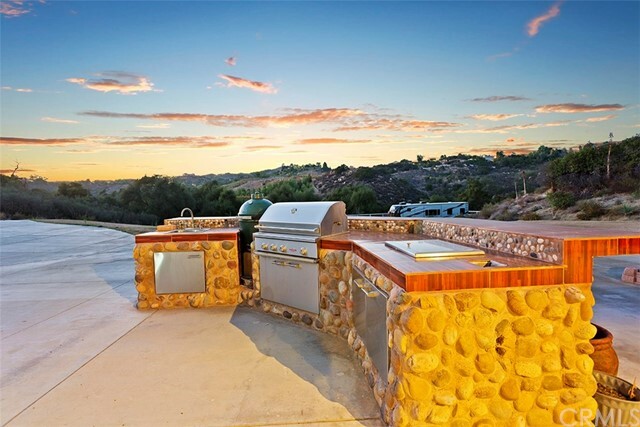 This parcel of Acres - is very gentle, and has lovely views of the Temecula Wine Country. Calle Venture has been paved, and the parcel it ready for your custom home. The 4 parcels may be purchased separately - or buy them all - and build a complex, or possibly a Winery! Water, Electricity and Telephone are in Glenoaks Road. These parcels are located very close to Wilson Creek Winery and offer easy access to both North and South Temecula areas. Perfect parcels on which to plant your small vineyard or orchard. Enjoy the hot air balloons each morning! Four Adjacent parcels on Glenoaks road at Calle Venture - Just west of De Portola Road. 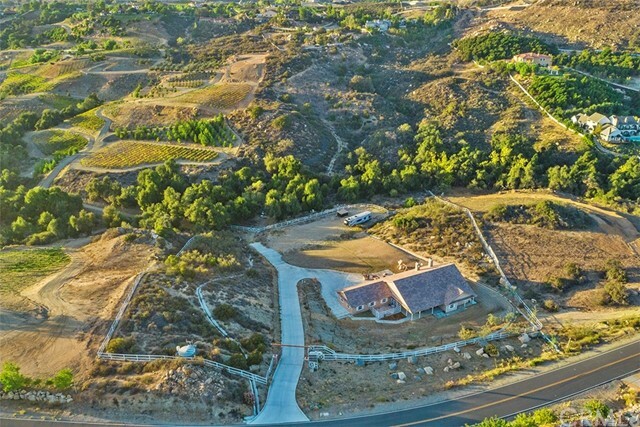 This parcel of 2.83 Acres - is very gentle, and has lovely views of the Temecula Wine Country. Calle Venture has been paved, and the parcel it ready for your custom home. The 4 parcels may be purchased separately - or buy them all - and build a complex, or possibly a Winery! Water, Electricity and Telephone are in Glenoaks Road. These parcels are located very close to Wilson Creek Winery and offer easy access to both North and South Temecula areas. Perfect parcels on which to plant your small vineyard or orchard. Enjoy the hot air balloons each morning! Beautiful South Temecula Condo located in the highly desirable Auberry Place. This great END UNIT offers privacy and security. Designed like single story with the entrance and garage down stairs and all living areas on top level. 3 bedrooms, 2 baths, large kitchen, dining room, living room with fireplace, master with en suite bath, office niche, and private laundry room. Beautiful ceramic tile flooring and neutral colors throughout. Attached 2 car garage and private balcony off dining room. Located in Great Oak High, Vail Ranch Middle and Tony Tobin Elementary school district. This gated community also offers pool, spa, tot lot, low taxes and is minutes to shopping, schools, Wine Country, Casino and freeway close. GREAT HOME COMPLETELY REPAINTED INSIDE AND OUT - NEW CARPETING - 3 BEDROOMS - 2 BATHROOMS WITH SEPARATE LAUNDRY ROOM. KITCHEN INCLUDES STOVE, MICROWAVE AND SEPARATE EATING AREA. HOME HAS LIVING ROOM WITH WOOD SHUTTERS AND DESIGNER DOUBLE FAN AND DINING ROOM. MASTER BEDROOM SUITE HAS OWN TUB AND SEPARATE SHOWER. LARGE STORAGE SHED. FANS IN ALL ROOMS. BEAUTIFUL VIEWS. Four Adjacent parcels on Glenoaks road at Calle Venture - Just west of De Portola Road. This parcel of 2.44 Acres - is very gentle, and has lovely views of the Temecula Wine Country. Calle Venture has been paved, and the parcel it ready for your custom home. The 4 parcels may be purchased separately - or buy them all - and build a complex, or possibly a Winery! Water, Electricity and Telephone are in Glenoaks Road. These parcels are located very close to Wilson Creek Winery and offer easy access to both North and South Temecula areas. Perfect parcels on which to plant your small vineyard or orchard. Enjoy the hot air balloons each morning! Beautiful manufactured home 2 bed/2 Bath, office/den, permitted SUNROOM w/ceiling fan (included in sq.ft. ), WORSHOP with A/C unit, PATIO COVER w/ceiling fan, garden shed and custom garden area with 5 fruit trees. This fabulous home has tons of natural light, vaulted ceilings, and open floor plan which includes a formal dining room, living room w/gas fireplace, master bedroom with ensuite bath, laundry room w/pantry, ceiling fans throughout, plenty of storage areas and 2 car garage. 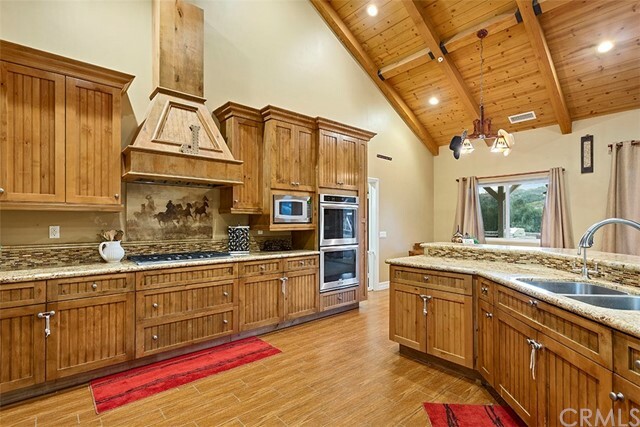 The large gourmet kitchen has an island w/storage, eat-in nook, beautiful pecan color cabinets with glass inserts, NEW whirlpool 5 burner gas stove w/ double ovens with convection option. Also included is the Samsung 3 door refrigerator w/2 ice makers, Maytag front load Washer & Specialty 2 door Dryer for line dry clothing. This beautiful home is located in the wonderful 55+ Plantation on the Lake, a tranquil community with club house, rec center, walking/golf cart paths, 2 pools, spa, fitness center, craft room, billiard room, library, horse shoe pit, dog bark park, picnic area with BBQ's, vineyard w/ fruit trees, RV storage with area to wash & clean vehicles. Freeway close and a short drive to Redlands, Palm Springs, Idyllwild, Outlet Mall and Casino.